The program, which combines a robust slate of athletic and military activities with a rigorous academic schedule, was designed to provide young men with a healthy and motivating environment in which they may strengthen their academic foundations or work to get ahead in the classroom. 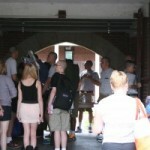 Twelve cadets from Fishburne Military School attended JROTC Cadet Leadership Challenge (Summer Camp) at the State Military Reservation at Virginia Beach, Virginia from 15-20 June 2014. 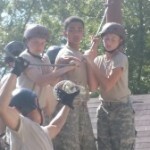 Overall, 250 JROTC Cadets from Virginia and North Carolina participated in this year’s camp.